Thinking of a new career in the thriving local Engineering sector, with a focus on materials handling? Then this is the fair for you! 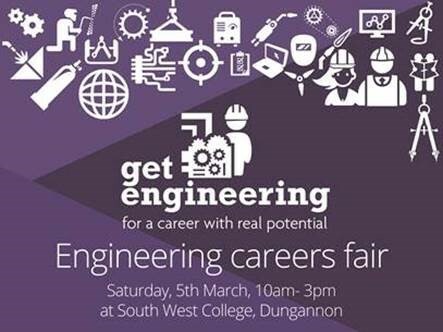 SpecDrum Engineering in partnership with other local engineering companies and South West College, Dungannon are participating in the inaugural “GET ENGINEERING” careers fair to be held at the SWC Dungannon Campus. Engineering companies in east Tyrone and the greater Mid-Ulster area are recognised as the world leaders in the design and manufacture of crushing, screening, recycling and general materials handling machinery. This is not just a fair for school-leavers or graduates, this event is for anyone seeking a career in the engineering industry – young and old, male and female. Come and talk to our SpecDrum Engineering representatives at the event in South West College, Dungannon on Saturday 5th March 2016 to find out more about forging a career in the local engineering sector!